This may be a scenario you’ve experienced before: you sit down for a meal with a friend, family member or colleague, but instead of spending that time talking to one another, you’re scrolling through Instagram, texting other friends and are generally disconnected from the present moment. For Brad Williams, a father of four, it’s something he’s witnessed firsthand. Williams wanted to ensure his family stayed connected in this technological age, but admits, it’s difficult. His solution – a “no cell phone” rule at the dinner table. “My kids know when they sit down for a family dinner, they can’t be using their cell phones or any other technology,” says Williams, who jokingly calls them “screenagers.” “This is the way I was raised – to truly value meaningful conversation around the dinner table.” This technological distraction is more common than not. Americans now spend an average of 4.7 hours per day on their phone, according to a 2015 Informate Mobile Intelligence study. Although our phones were meant to bring us closer together, they can sometimes have the opposite effect. 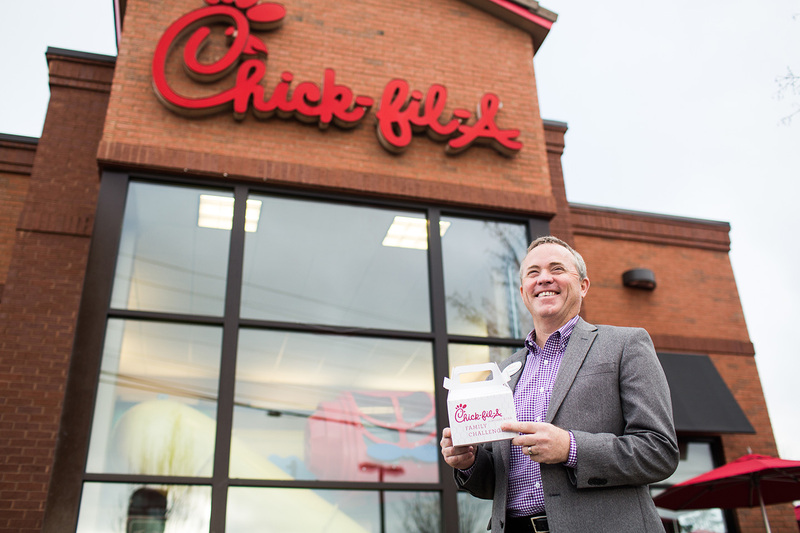 Williams, who is also a Chick-fil-A franchise owner in Suwanee, Ga., has witnessed this trend not only in his home, but in his restaurant dining room. The restaurant places a small, square box, (a.k.a. 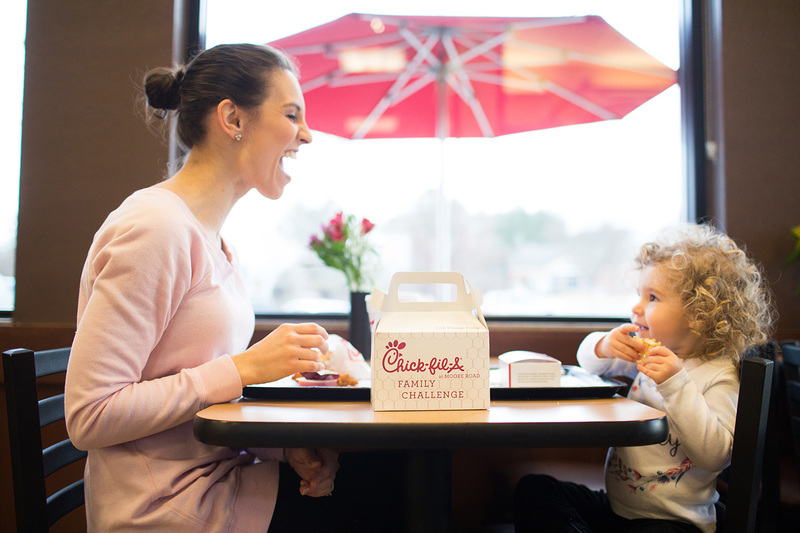 the Coop) on each table, with a simple challenge: enjoy a meal without the distraction of cell phones and receive a free Chick-fil-A Icedream. Guests complete the challenge successfully only if cellphones remain in the Coop untouched for their entire meal. The challenge has been so well-received that Chick-fil-A restaurants across the country are requesting the Cell Phone Coops. 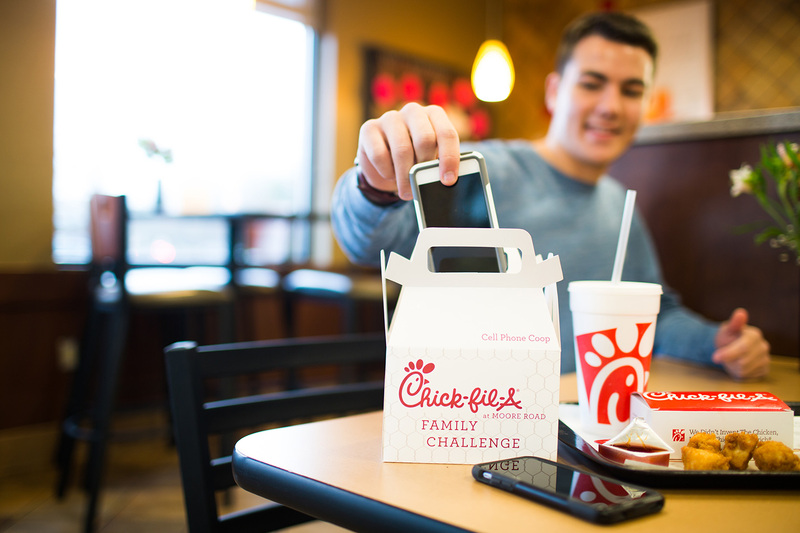 Although this initiative isn’t available at all locations, more than 350 locally owned Chick-fil-A restaurants across the U.S. are offering guests the opportunity to take the Cell Phone Coop challenge. 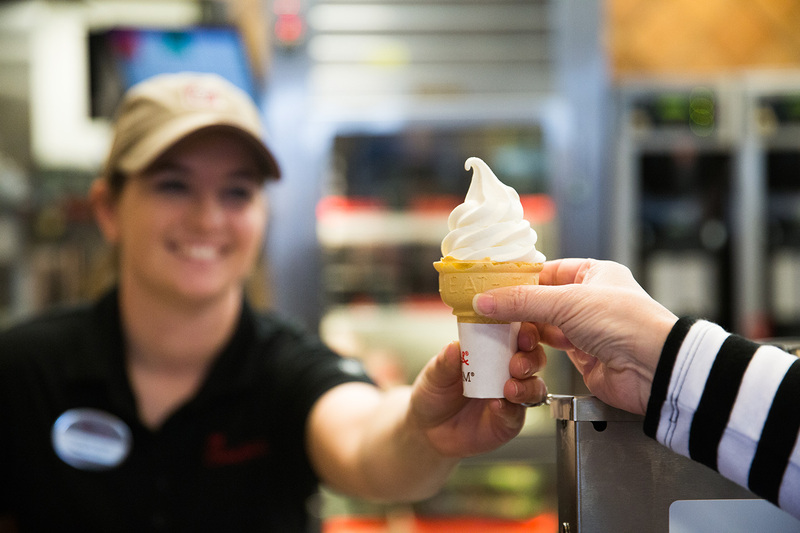 To find out if you can be a part of the challenge, please contact your local Chick-fil-A Operator.